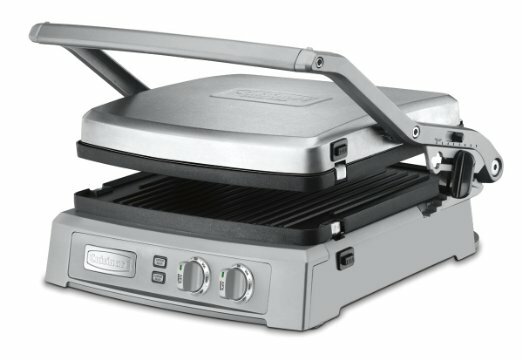 The most interesting feature of Cuisinart GR-150 Griddler is that it has six cooking options. 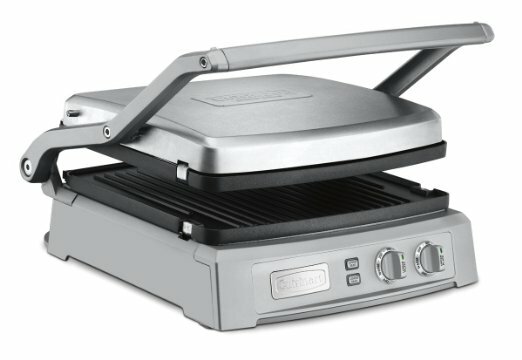 You can use this Cuisinart Indoor Grill as a contact grill, Panini press, full griddle, full grill, top melt, half grill & half griddle. You are getting all these options in one indoor electric grill. It will fulfill your desire of eating different kinds of foods. The non-stick plates are removable and reversible. As well as they are dishwasher safe. This Cuisinart Indoor Grill has two temperature controls and two sear functions. One is for the upper part and one for the lower one. The grilling surface is quite large. You can also open the grill all the way. Then use it as a wide open grill. 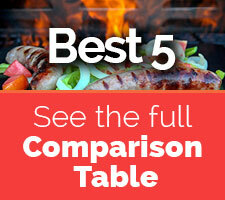 Cuisinart is the one of the best indoor electric grills for friends and family get together. The cooking surface of 240 square inches will help you to cook for many people at once. It can be pretty large for your kitchen. If you want a smaller grill that perfectly goes with your countertop then you can go for Hamilton Beach 25331. Cuisinart Indoor Grill can cook twelve pancakes on the full griddle and six hamburgers on the contact grill. It also offers six cooking options. Most of the tabletop grills don’t give you so many options together. The sear function makes the steak delicious like outdoor grills. It contains two temperature controls for each plate so that you can cook at different temperature at the same time. There are two indicator lights which will let you know the right temperature. If the cooking is finished, it will turn into green. The sear function can be used on top and bottom plates together or separately. 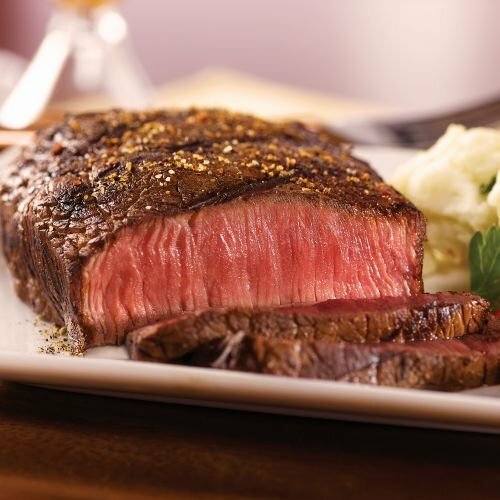 As you can control the temperature, you will get a juicy steak or meat the way you want. Cuisinart GR-150 is very smartly and cleverly designed. The brushed stainless still housing will bring elegance to your kitchen. You can compare it with top 5 products here. People who don’t like mess in their kitchen will find this indoor grill very pleasing. This Cuisinart Indoor Grill has an integrated drip tray inside. It will store the fats and grease. The drip tray is removable and dishwasher safe. You can remove the cooking plates easily from the electric grill and put them in your dishwasher. This is all you have to do for the cleaning part. The components are non-stick. So the oils and fats will come very easily. If you don’t have a dishwasher, then there are other ways for you. Just place a dampened towel between the hot plates for 5 to 10 minutes and then rinse them well. All the dirt will come out easily. Before cooking, make sure that you are preheating your griddler in closed position. When you are first using the product, it may have a bit smoke coming outside. But it is a pretty normal thing for nonstick products. Again if you forget to turn off the griddler, it will automatically be shut off. It is a safety feature of this product. The average price of an indoor electric grill is 70-80 dollars. This indoor grill is a bit expensive than the others. If money is not a concern for you and if you want to have the best quality then go for it. It has so many features that will give you the best flavor like indoor BBQ grills. It gives you six cooking options altogether. It is smartly designed which will bring a classic look to your kitchen. What else do you need from an indoor grill? 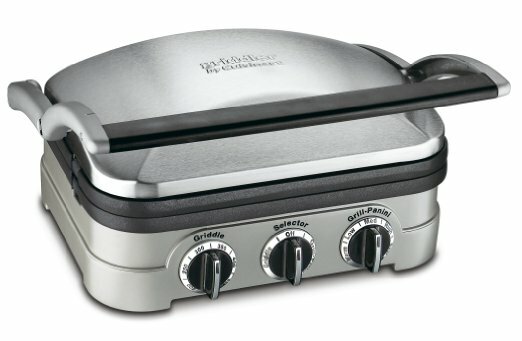 If you want a cheaper indoor grill with similar features, then you can check out Cuisinart GR-4N Griddler. In brief, this Cuisinart Indoor Grill is giving you an option for cooking various kinds of dishes at a time. The control of the food is in your hand. Because you will be able to control the temperature of the plates. The sear function will give you a taste like outdoor bbq grill. The nonstick, removable and dishwasher-safe cooking plates will make your work so much easier. The large cooking surface will help you to cook for many people at once. The smart design of Cuisinart GR-150 will give you many features at once. At the end of the day, you will have delicious foods for your friends and family by this magnificent Cuisinart Indoor Grill. If price is not a concern for you and you want more features then go for ﻿Breville Sm﻿art Grill.